Today’s publication of the NICE Low Back & Sciatica Guidance was welcomed by the Royal College of Chiropractors. 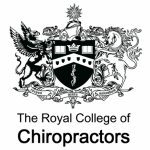 The Guidance recognises the evidence for spinal manipulation which is typically provided by chiropractors as part of an evidence-based package of care including exercise and psychosocial support. It is noted that mobilisation and soft tissue techniques are performed by a wide variety of practitioners; whereas manipulation is usually performed by chiropractors or osteopaths, and by doctors or physiotherapists who have undergone additional training in manipulation. Manual therapists often combine a range of techniques in their approach and may also include exercise interventions and advice about self-management.